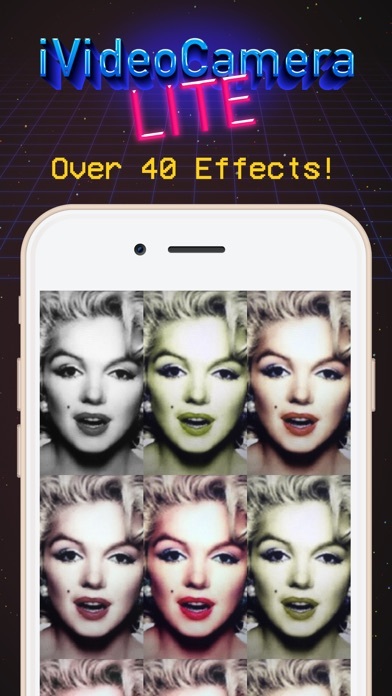 iVideoCamera Lite - The first video camera on the iPhone - completely redeveloped for the new iOS devices with tons of new real-time video effects. 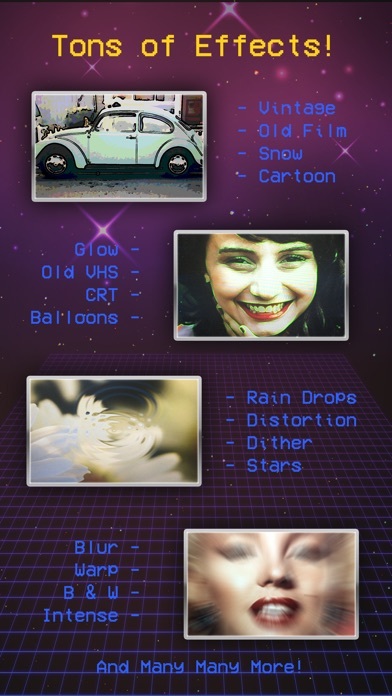 Includes over 20 Free effects with an additional set that can be unlocked including: - Old Film - Snow - Balloons - Radial Blur - Cartoon Effect - CRT Monitor - VCR Distortion - Cross Hatch Sketch - VHS 80's - Edge Glow - Rain Drops and Many Many More! 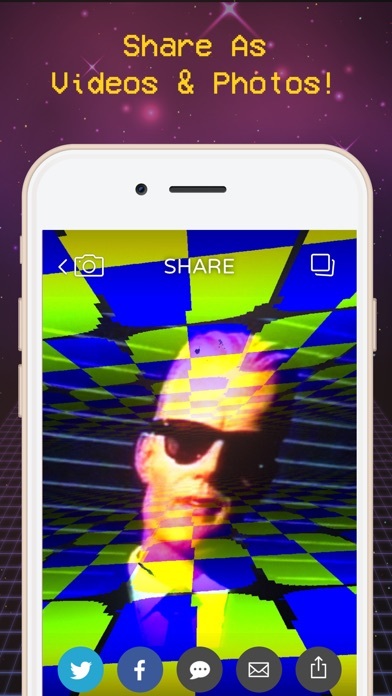 Great app, fantastic for taking videos really recommend it. Ugh! Every time I record it comes out blue PLZZ! Fix that! I thought this app was completely free. I was wrong. I got 21 seconds free! 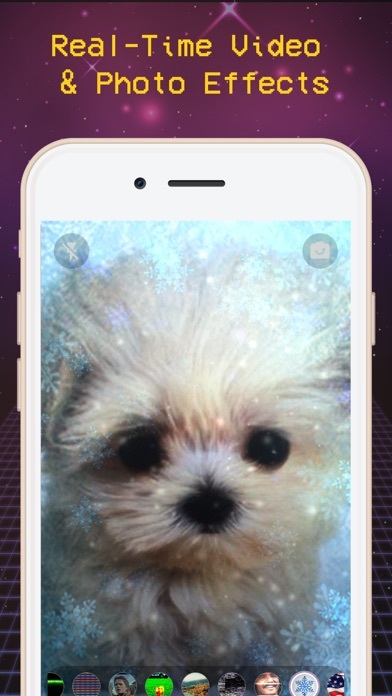 Don't even bother getting this app. I thought unlock full recording by email will not give you blue video. I still get that so don't waste time on this app. Delete this app after I finish write review.